Descriptions of endocrinology will change in the years to come. Endocrinology is not only concerned about the diseases of the known endocrine organs. We know now organs that were not previously recognized as endocrine organs such as the heart and skin are in fact endocrine organs. Endocrinology is a science of knowledge transfer in the human body. Endocrine diseases like diabetes, metabolic syndrome, obesity, polycystic ovary syndrome, hypertension and thyroid disorders are so common in the population. Each exceeds 10% of the total population. Endocrinologic evaluation of whole diseases of emergency situations and critical care situations are important, as well as known endocrine organ diseases in these units. Also, preoperative, perioperative, postoperative evaluation and management of endocrine diseases are very important. 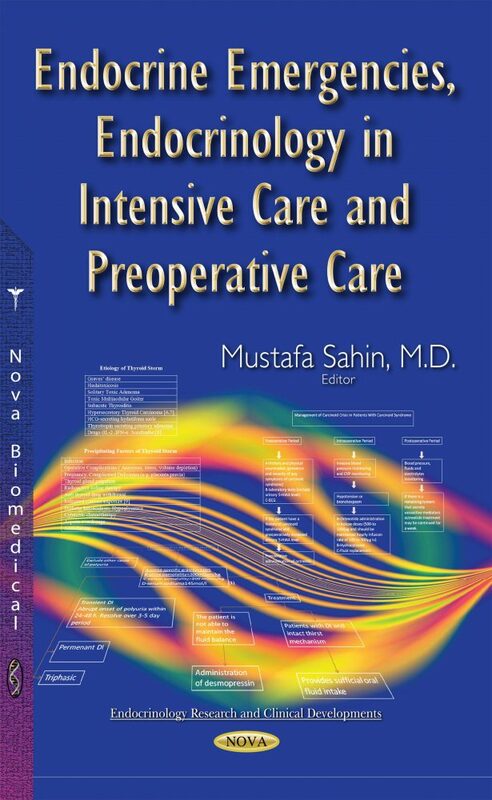 This book is the written first edition of a work that may be beneficial for endocrinology and internal medicine residents, surgeons, and medical students. The book purpose is to cover the up-to-date practical endocrine emergencies, perioperative evaluation and endocrine aspects of critical care. If you send us your comments, feedback and chapter headline suggestions, we can make changes in the new edition of this book according to suggestions.